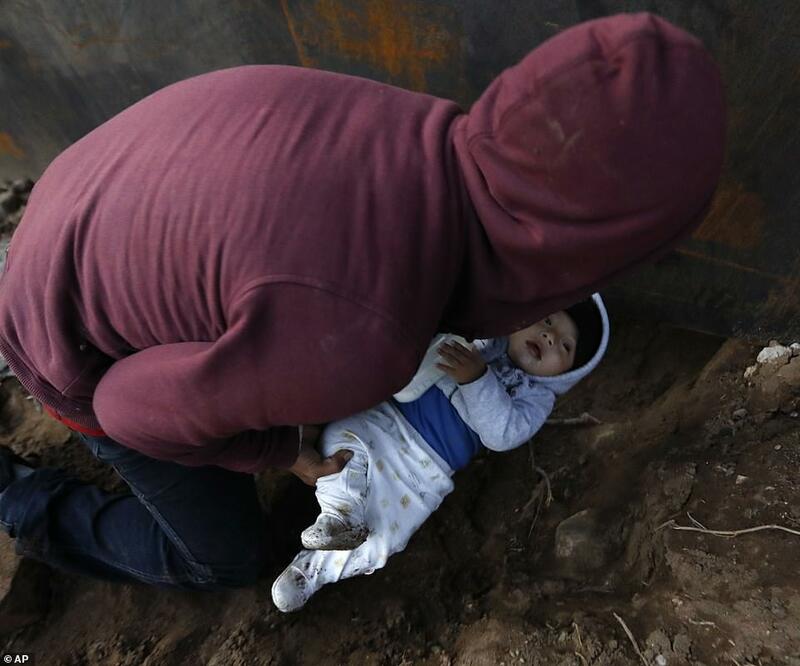 This is the harrowing moment a Honduran caravan migrant passed his eight-month-old son to his girlfriend through a gap under the U.S. border fence so they could seek asylum. 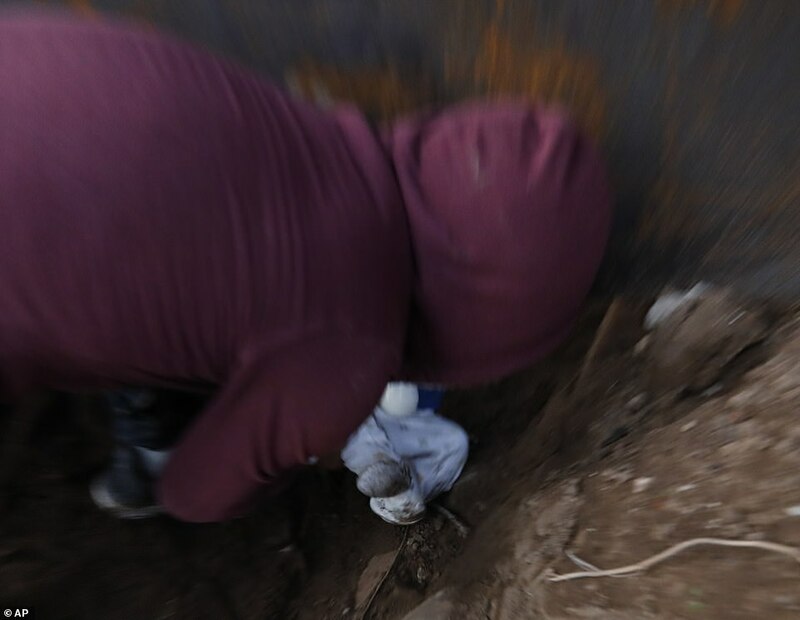 Joel Mendez, 22, was photographed cradling his baby son Daniel in Tijuana, Mexico on Friday as his 24-year-old girlfriend, Yesenia Martinez, crawled under a hole in the border fence. 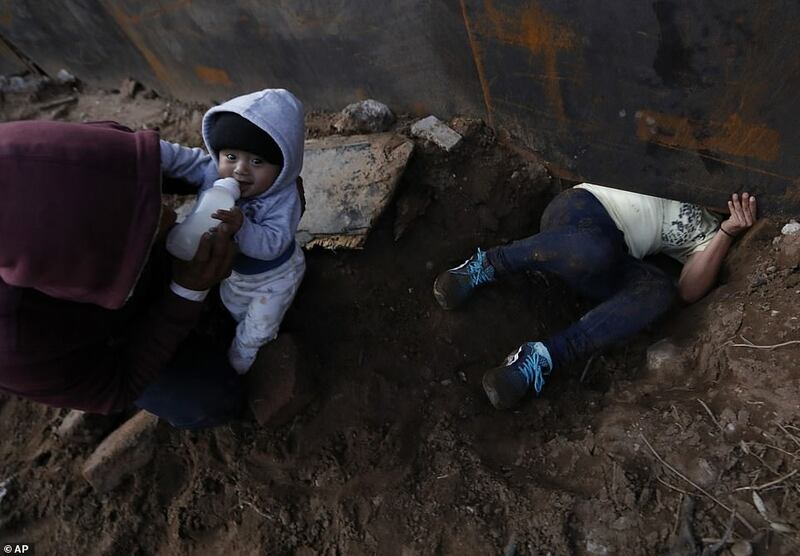 The little boy, who was wrapped in a gray hooded sweatshirt, was drinking from his bottle at the time and smiled at the photograph as his mother crawled nearby. When Martinez was safely through to the other side, Mendez then passed the eight-month-old old under the fence to his mother. She was pictured reaching under the fence to grab her son's bottle before fleeing. 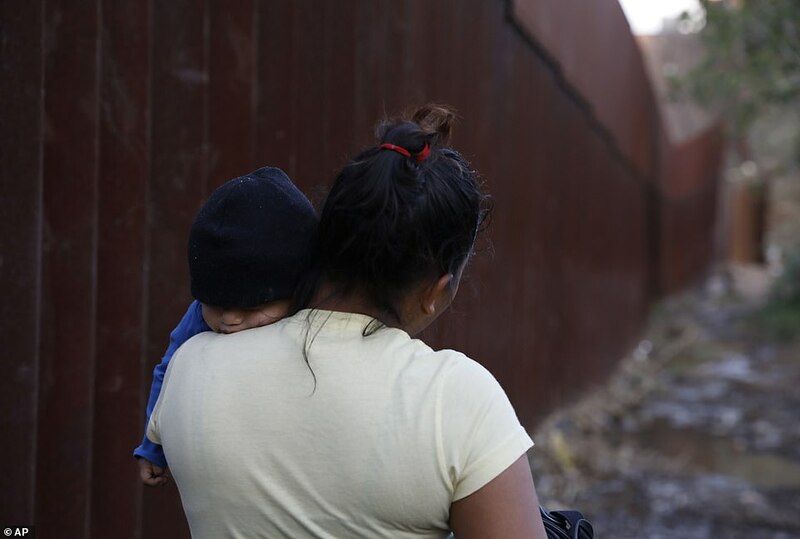 Mendez stayed behind in Tijuana to work because he feared he would be immediately deported if he crossed into the U.S.
His girlfriend surrendered to waiting U.S. Immigration and Customs Enforcement as she cradled their son. 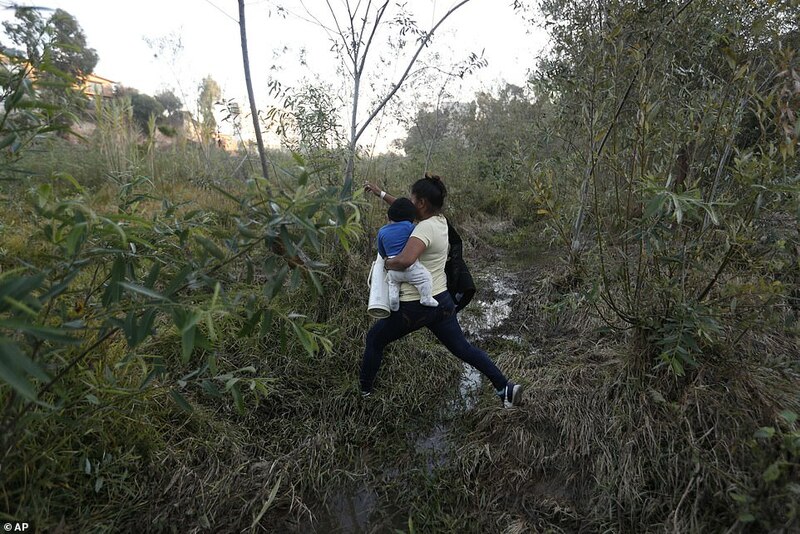 They are among a number of Central American migrants from recent caravans who have become discouraged by the long wait to apply for asylum through official ports of entry into the U.S. Many, like Martinez and her son, have taken to crossing the border wall illegally and handing themselves over to border patrol agents. Thousands of Central American migrants have spent weeks traveling north through Mexico in caravans, walking and hitching rides when possible, only for many to give up hope and turn back when they met resistance at the U.S. border. 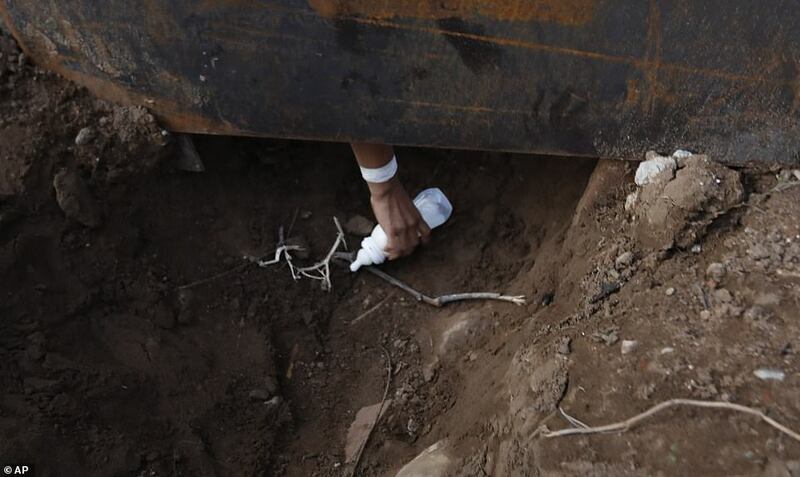 Others have hopped the border fence, often directly into the hands of immigration authorities on the U.S. side, while still others dug in at temporary lodgings in Tijuana for the long process of seeking asylum from a reluctant U.S. government. Of 6,000 who arrived in Tijuana in the caravans last month, 1,000 have scrambled over border fences and most of those were detained. A further 1,000 have accepted voluntary deportation, while others are living on the street outside the municipal sports center where they first arrived, or in smaller shelters. 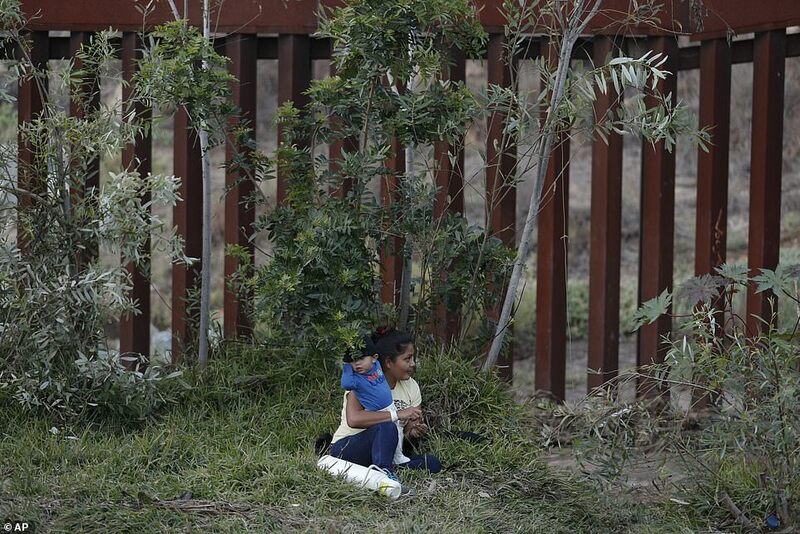 U.S. President Donald Trump has sought to make it harder to get asylum, but a federal court last month placed a temporary restraining order on his policy that only permitted asylum claims made at official ports of entry.